More than I could ever ask for! Thank you so much my mother was in tears when opened it. Has a handcrafted feel. Nice quality. My wedding anniversary is coming up in June. 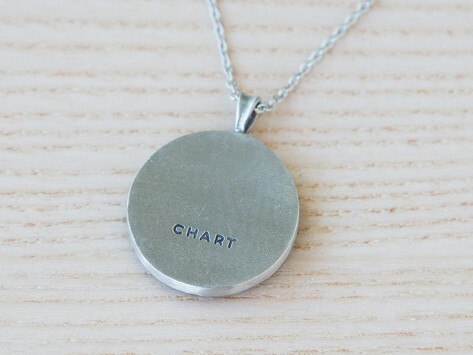 Upon seeing the pendants made by CHART Metalworks I realized what a perfect gift a pendant showing where I'd proposed to my wife is. So I sent both a description and the Google supplied Lat/Long values to CHART. Less than a month later I have the wonderful looking pendant which remains hidden until our anniversary. While not an expensive, jewel festooned ornament, if I know my wife, she will melt when she sees it. We both appreciate thoughtful presents more than expensive presents.